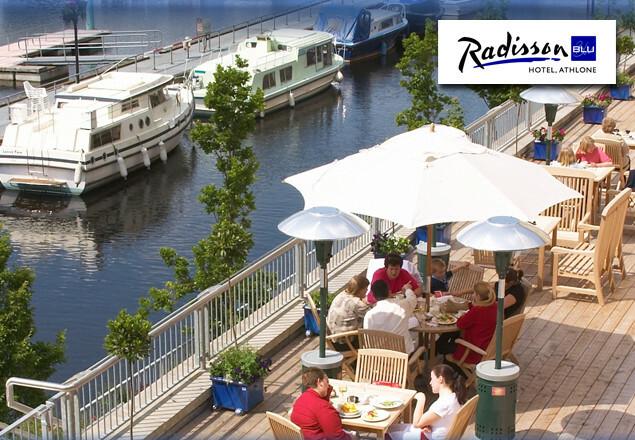 Enjoy two nights B&B for two people with dinner on one night & a boat cruise at the Radisson Blu, Athlone. With this exclusive offer from Rewarding Times you can enjoy a two night stay at the stunning Radisson Blu Hotel, in the heart of Athlone, overlooking the River Shannon and Athlone marina. 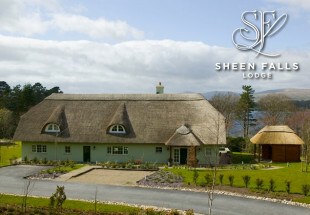 You will be treated to petit fours on arrival, a super buffet breakfast each morning, 3 Course dinner on an evening of your choice, a late check out and a one hour Shannon boat cruise on The Viking Ship. Enjoy complimentary access to the Synergy Health & Leisure Club which incorporates an indoor pool, sauna, steam-room and fully equipped gymnasium. Or why not, relax on the outdoor terrace which boast magnificent views of Athlone? Radisson Blu Hotel, Athlone is situated in the town centre on the banks of the River Shannon overlooking the historic Athlone Castle. Sumptuous food is served daily in the Quayside Bar & Lounge and Elements Bistro serves innovative dishes which highlight the region and the season’s best ingredients. The outdoor terrace overlooks the marina and is a unique feature of the hotel - summer barbeques are their specialty! 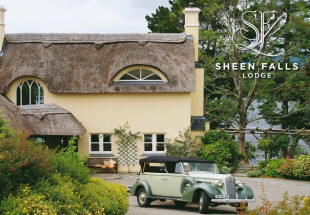 Many of the bedrooms at this luxurious hotel afford stunning views over the river and old town area and the hotel is within a five minute walk of Athlone’s train & bus station. Complimentary on-site parking is available to all guests. Voucher's are valid 7 days a week from May 13th until August 13th 2013. Three course dinner included on one evening. Close out dates are 24,25 May, 03 August & 17 August. 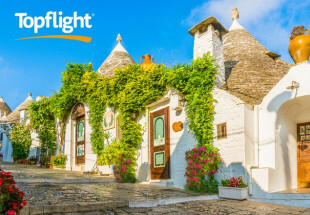 Hotel T&C's apply including 48 hour cancellation policy. Late Check out until 1 pm on Saturday – 2 pm every other day. Voucher must be presented on check-in. Family room supplement 50 Euro per night / Business Class room 25 Per night.